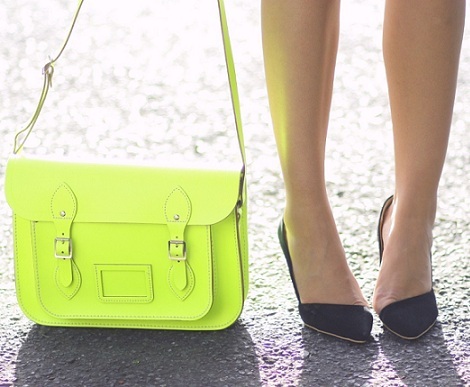 Have I mentioned that i love the neon trend? hahaha. ( Tell me if I bore you please!) These are some examples about how to combine it! This is all you need to shock your wardrobe into spring. I drool for the first bag wich is dotted with black spots. love the first one soo much! I love this trend too, I bought a neon green dress and can't wait to wear it =)! Hope your exam went well ! You're invited to enter my giveaway to win a Zeleb party dress ! I love it!! The first bag is by Valentina Siragusa a blogger from my hometown!!! Your profile picture is so so so cool dear!Congrats! 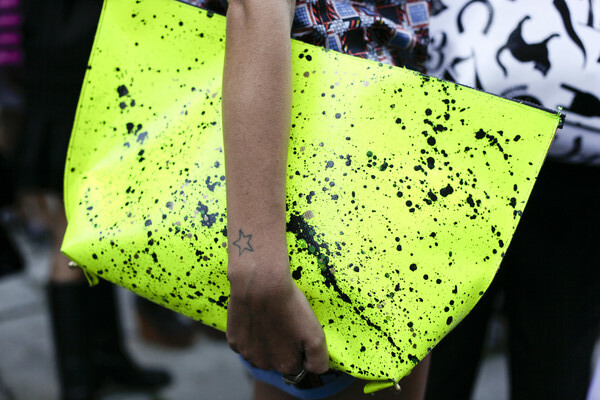 Lovin' the neon trend as well! I love the bag on the last picture. Must have!! And of course I'm following you, darling! Sure, why not? I like your blog! I'm following! a mi también me encantan los colores neón, mucha suerte con tu exámen! Hi!! I find your post amazing .Neon is super.Surely I will buy something ! AAAAH! The last one is the CUTEST! I want one exactly like that but with a chain sling. CUTESY blog, dear! 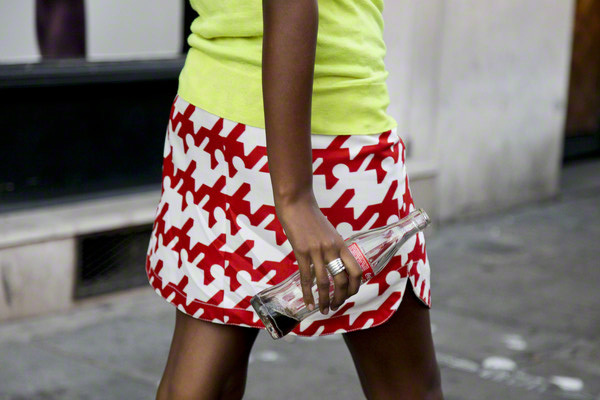 I really like this trend, especially in small details like these! I'm in love with the last bag, just adorable. thank you bery much! really! We really love your blog!!! The neons are just so amazing and we can't get enough of them. They add just the right amount of drama to nearly any outfit! Perfection. I love the sachtel bag! I love so much the clutch on the first picture! And asymetric shoes on the last are awesome im in love!